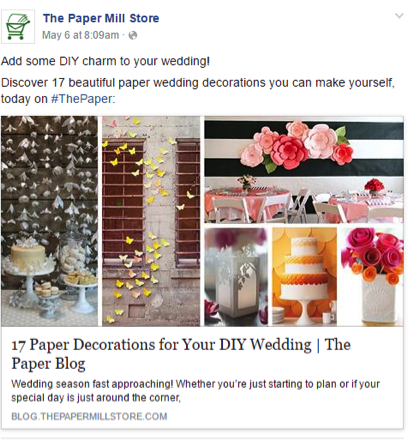 Home/Post / Creative Content Marketing in a Boring Niche? Yes, Please. 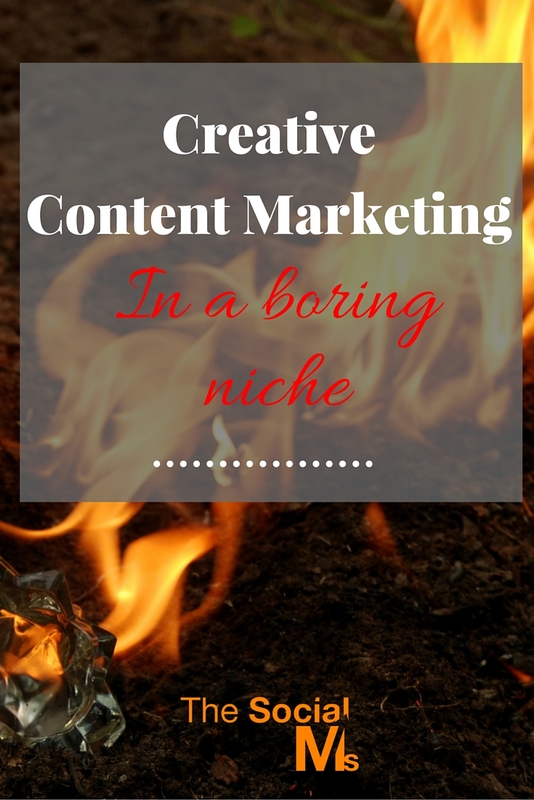 Creative Content Marketing in a Boring Niche? Yes, Please. The following is a guest post by Luisa Brenton. Luisa Brenton is a blogger. She was born in Italy, graduated from The St. Louis School of Milan and went to Chicago to pursue higher education at the Chicago’s Public Research University. Luisa is interested in modern literature and new films. She is interested in journalism as well. You can contact Luisa at Twitter and Facebook. Once upon a time, there lived online an insurance company. It had a very nice website, and it even had a blog about all things “insurancy.” It had been around quite a long time, since the Depression actually, and had lived through many decades of advertising and marketing – in newspapers and magazines, on radio, and finally on TV. When the Internet came along, it felt it needed to stay “current,” so it built a website, started that blog, and not many came. Business continued through TV advertising mostly – advertising that told viewers how great the company was, all of the kinds of insurance it handled and gave phone numbers to call. Business was steady but not great. The company knew it was hard for consumers to get excited about insurance. It’s something everyone has to buy, but they don’t like paying those premiums, especially when they have never claimed. And it’s hard to come up with creative marketing when the product you sell is somewhat distasteful and certainly boring. In 1996, the company was purchased by Berkshire-Hathaway, the investment company of Warren Buffett. He saw potential in this company. With this purchase came more money for marketing pros, and they decided to create a strategy that would bring far more brand recognition. Thus, the Geico gecko was born – that little green lizard with that adorable British accent. 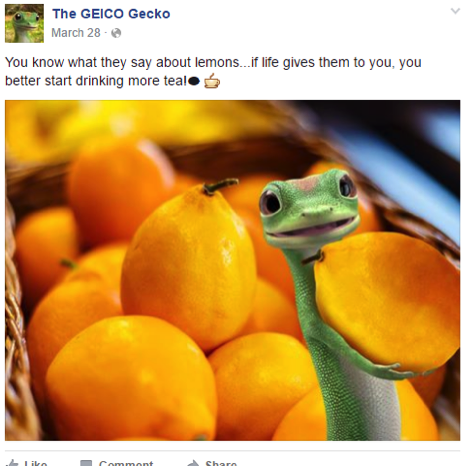 He has become a symbol for Geico and has been responsible for a soaring brand recognition, both off and online. In fact, that little gecko has his own Facebook page and Twitter account. And the company itself has a Facebook page, but its posts do not try to sell insurance. They offer advice, celebrate every possible holiday on the books (including the frog jumping day), promote Geico’s favorite charity, and just generally try to develop relationships with viewers. The point is this: Insurance may be a boring product, but marketing it does not have to be. The key, of course, is brand recognition, either for your product/service, if it is one-of-a-kind, or for your company name if you have competitors in the same niche. It takes creativity, and it is certainly a bit more difficult than marketing clothing, an iPhone, or other exciting consumer products. Here are some great content marketing strategy ideas for marketers to chew on. This was Geico’s solution. It also became the solution for Aflac (the duck) and Charmin toilet paper (the bears). Some companies have been successful with this; others have not. Metropolitan Insurance Company got rights to Snoopy and Woodstock, but they never made strong use of those mascots. It’s always a good idea to tell stories. And stories of people using a boring product can be made interesting, inspirational, humorous, or highly educational. There are other ways to “twist” a marketing campaign by telling stories and receive great brand recognition. Soap is not an exciting product. And when marketers have developed campaign strategies, they have focused on aspects of beauty associated with clean, clear skin, etc. They have used beautiful models/people in their marketing campaigns because that was the traditional psychology behind marketing soap. Today’s consumer, especially today’s online consumer, is tired of this ploy and wants stories about normal, average people and their lives. A smart marketer at Dove realized this and decided to try something different. The marketing strategy she designed was that there is beauty in every face, in every body, and in a person’s inner self. She began with young tweens and teens and moved up to adults, showing that our society’s focus on exterior beauty must be a thing of the past. Today, on its blog and on its social media platforms, Dove focuses on stories of real women and their stories, not on gleaming beautiful skin and perfect model bodies. Dove’s marketing campaign is now more of a moral campaign, and it has worked. 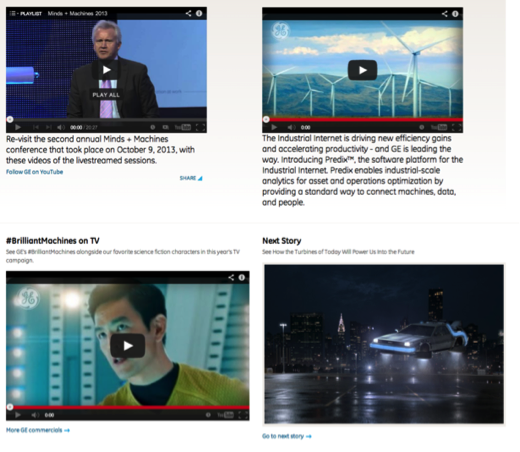 GE is not a company that excites consumers much.But, by removing a lot of its text from its website and replacing it with stories about now and future cool stuff it is developing, it has gained a much greater following. Some of the videos it has posted have received as many as 22 million views. And here’s the side benefit. The name GE becomes more memorable because of these stories. 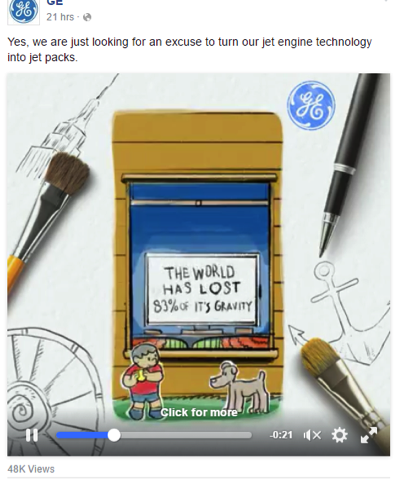 When consumers go to buy appliances, for example, they think of GE and its innovative work. 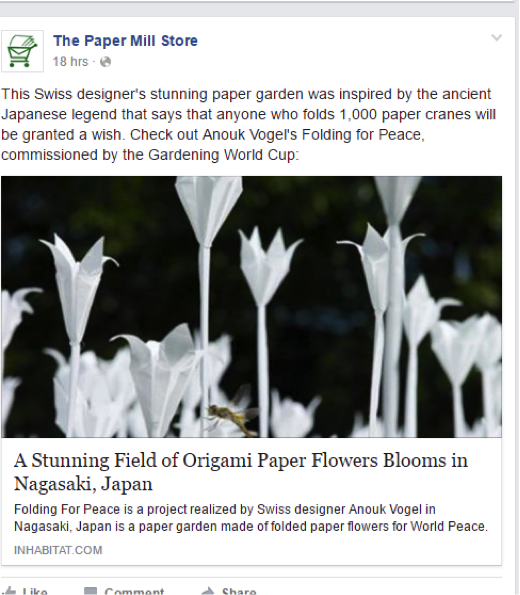 And its Facebook page is filled with cool stories about its research and technology. A dull product or service can come to life and popularity through the use of visuals that can show unique or interesting uses of a product. 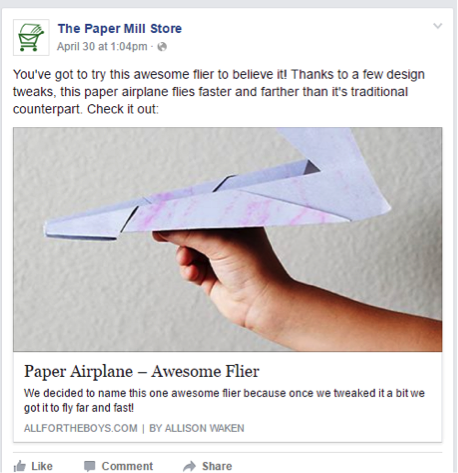 The Paper Mill Company sells paper – mostly copy paper to businesses, although it does want to market itself to consumers too. Businesses are staffed with people – people who are consumers as well as users of paper during their work days. So, the marketers developed and maintained a blog and social media posts that appeal to individual consumers as well as to businesses. No marketing strategy can be effective without videos. And boring products can be made more exciting and interesting if videos are used for explanations and how-tos. 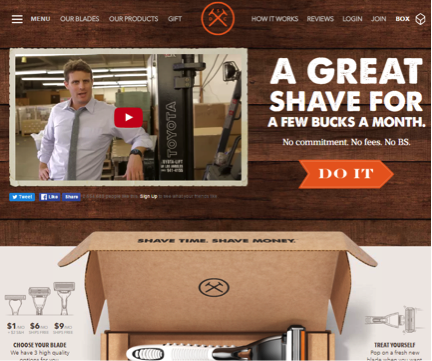 Razors are boring products unless you happen to see the marketing tools used by the Dollar Shave Club. In the opening video on its home page, the value and benefits to the customer are loud and clear – joining the club means you get razors of your choice delivered to your mailbox every month. No more hassle of stopping by the store to pick up razors because you forgot; no more having to use an old, dirty blade. And this is all done in a fun humorous way. 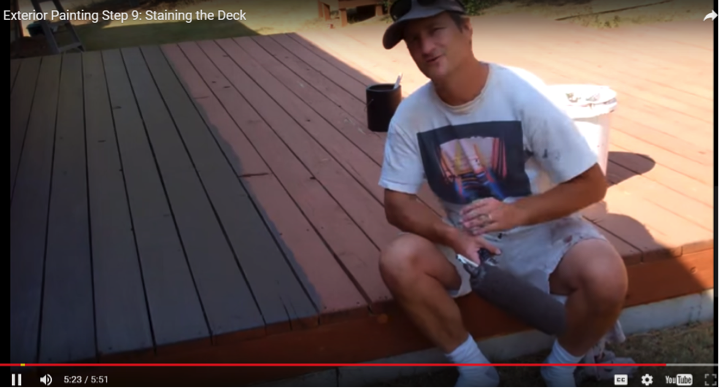 Who loves staining their decks? Almost nobody. And who loves shopping for deck stain products? Almost nobody. Porter Paints decided that it needed to get away from the same old tired website content that extols the great features of its products. Instead, it went straight to what the customer is really interested in – how do I do this with as little “pain” as possible. Focusing on that led to its use of a series of how-to videos of painting and staining – using a normal person for their product demonstrations. Everyone can relate to this guy, and the video allows viewers to skip the steps of reading all of the product use descriptions that are grueling. This is a no-brainer. If you have a boring, dull product or service, and you are still struggling with ways to market it that will really appeal to people, then get involved with a charitable cause. There is great emotional appeal when you can show your brand as socially responsible and involved. And you will feel good about what you are doing too. You can donate a portion of your sales to that charity/organization; you can guest post on that organization’s site; you can feature your giving campaign on your website and your social media platforms. Popular charities right now are those that support underprivileged or ill children, endangered species, drug abuse prevention, and environmental issues. Find a cause you can support and go out and do it. 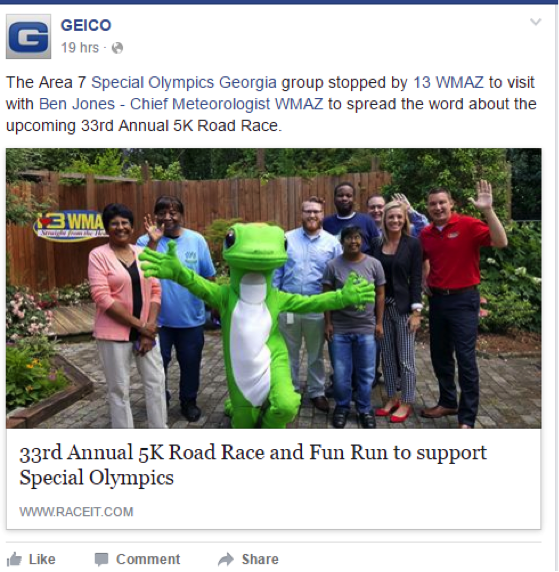 Geico, for example, holds an annual road race and fun run to support Special Olympics – always a cause that tugs at people’s heartstrings. Even as a very small business, you can promote your cause and your efforts to support it with good marketing strategies. Your product or service may not be exciting. But it does have value and benefit to your customers, or you wouldn’t be selling it. When you can use these five marketing strategies, you can breathe life into an otherwise boring marketing campaign and get yourself the brand recognition that will increase sales.